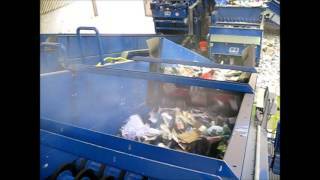 Dust suppression is a current challenge in recycling operations. Raised awareness and tighter regulatory standards are both contributing to the recycling industry to find more efficient and cost-effective methods of fugitive particle control. A good dust management plan tackles the problem at its source. Most shredders and crushers have dust suppression technology built into them, but it’s limited to those machines, leaving recycling facility managers to determine the best means for suppressing dust generated once material hits the open air. Although common at facilities treating organic material, the issue of odour control is significant across all sectors of the waste industry. Concerns over foul odour emissions are one of the big stumbling blocks in the planning and permitting stages of many waste facilities, while poorly executed odour control regimes can lead to friction with the local community. Odour control systems need to be considered central to the operation of plants, and be well maintained. PEORIA, IL – A global innovator in dust and odor control technology has updated its family of self-powered dust suppression equipment with Tier IV Final-compliant generators, ensuring compliance in all 50 states. PEORIA, IL – A pioneer in atomized mist technology for dust suppression has announced an industry-leading upgrade to the company’s product warranty. HOUSTON, TX – Following the installation of the first of two recycling lines type recoSTAR dynamic 165 C-VAC in Houston, Texas, Avangard Innovative LP is now ready to start processing of post-consumer film at its new recycling plant. PEORIA, IL.– A global leader in dust and odor control technology has introduced the newest model in its growing family of self-powered dust suppression equipment, as BossTek announces the debut of the DustBoss® DB-30 FusionTM. The new design is a versatile and transportable atomized mist unit, engineered with a workhorse electric motor and 30 KW generator. Permanently mounted on a rugged road-worthy trailer, the company’s Fusion lineup is proving to be a popular and effective means of delivering powerful dust suppression technology to sites that lack a convenient power source. PEORIA, IL – Municipalities and developers that reclaim pre-existing industrial sites for urban renewal projects must perform an abundance of environmental tests due to the likelihood that there is some form of contamination left over from prior activities. MB Dustcontrol BV produces apart from their Spraycannon Series also dust and odour suppression solutions for indoor or semi-indoor areas such as recycling plants. Does anyone know how many fires have occurred at Waste & Recycling facilities so far this year? When we first launched the Fire Rover, we searched everywhere for this information. PEORIA – A global leader in mobile dust and odor suppression has announced the introduction of its new and largest trailer-mounted dust control system, a powerful atomized mist design featuring a range of 100 meters and the ability to deliver 140,000 square feet (15,500 square meters) of coverage area. LONDON – One of the UK’s largest metal recycling specialists has announced an all-out war on process dust an army of ten high-performance dust suppression units, to be deployed among the company’s facilities throughout the country. PEORIA, IL – The widely publicized California water crisis and subsequent restrictions on usage has — in some instances — bumped up against some of the state’s stringent environmental regulations.